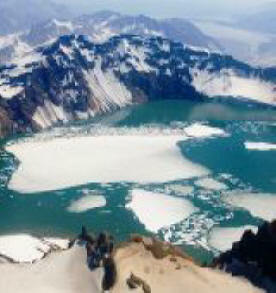 The 15 active volcanoes that line the Shelikof Strait make Katmai National Park and Preserve one of the world's most active volcanic centers today. These Aleutian Range volcanoes are pipelines into the fiery cauldron that underlies Alaska's southern coast and extends down both Pacific Ocean shores--the so-called Pacific Ring of Fire. This Ring of Fire boasts over four times more volcanic eruptions above sea level than any other region in our historic times. 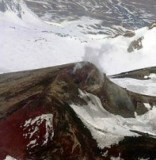 Katmai was once a cluster of 3 or 4 small volcanoes. 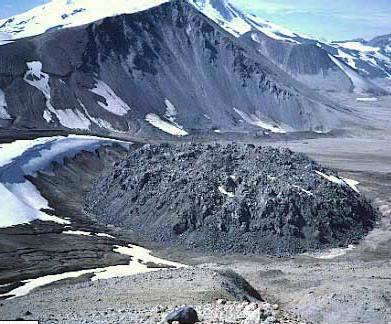 Novarupta, meaning "new eruption", is a volcano located on the Alaska Peninsula in Katmai National Park and Preserve, about 290 miles (470 km) southwest of Anchorage. 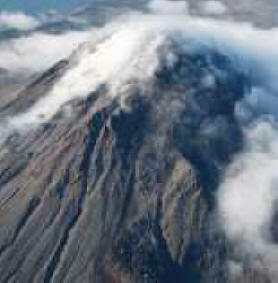 Formed in 1912 during the largest volcanic eruption of the 20th century, Novarupta released 30 times the volume of magma as the 1980 eruption of Mount St. Helens. 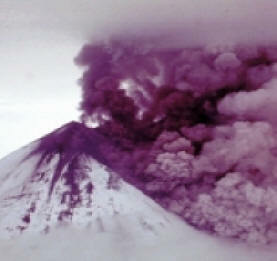 The most violent Alaskan eruption recorded occurred on June 1912 from Novarupta/Katmai Volcano. 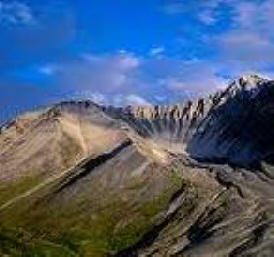 This was one of the world's largest in this century and brought widespread attention to Alaska's many volcanoes. On June 6th, 1912 a tremendous blast sent a large cloud of ash skyward and the eruption of the century was underway. People in Juneau, Alaska, about 750 miles from the volcano, heard the sound of the blast – over one hour after it occurred. 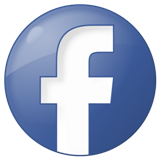 The eruption darkened the sky over much of the Northern Hemisphere for several days, and deposited a foot of ash on Kodiak Island, 100 miles away. When the eruption was finally over, more than 40 sq. miles of once lush, green land were buried under volcanic deposits as deep as 700 feet. 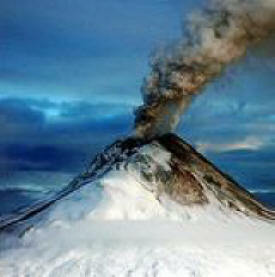 Many small holes and cracks developed in the ash fall, which let gas and steam escape from heated ground below escape. 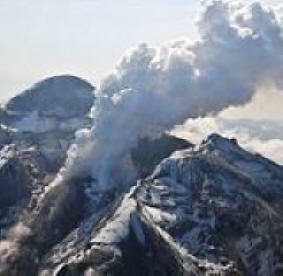 The result was a landscape riddled by thousands of steam vents. When explorer Robert Griggs came to see the damage of the eruption in 1916, he was amazed at what he saw and named the area "The Valley of Ten Thousand Smokes." Today, the steam vents are gone, and the valley continues to recover. Visitors to the area can still see evidence of the eruption and are reminded of the awesome power and destruction volcanoes can unleash.